If you find anything incorrect or missing, please let us know. 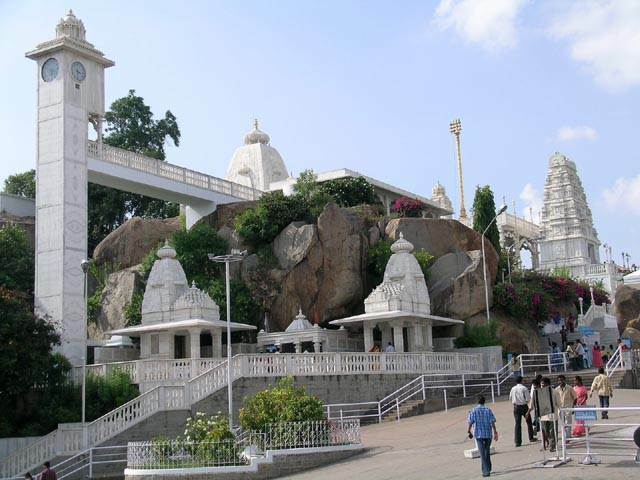 Hyderabad is the capital and largest city of the South Indian state of Andhra Pradesh. It was ruled by the Qutub Shahis, Mughals and the Nizams which shaped up its history. The city is noted for its monuments which includes the masterpiece of Charminar and the fort of Golconda. The city of smiles, of lights, of a thousand faces, endearingly called the Pearl City, Hyderabad offers a variety of tourist attractions ranging from Heritage monuments, Lakes and Parks, Gardens and Resorts, masjids, temples, churches and bazaars, Museums to delectable cuisine and a delightful shopping experience. To the traveller, Hyderabad offers a fascinating panorama of the past, with a richly mixed cultural and historical tradition spanning 400 colourful years. Some of the top tourist attractions are included in this section. Other tourist places are included under Tourism.